When I saw this sauce on the shelf of my local Publix, the name seemed familiar to me. "Cunningham's"..."Memphis"...as it turns out, what I was thinking of was Willingham's. John Willingham is a Memphis in May legend - a two time grand champion (not to mention an American Royal grand champion). He does make a line of barbecue sauces, and hopefully I will get around to reviewing them. But today's sauce is Cunningham's. 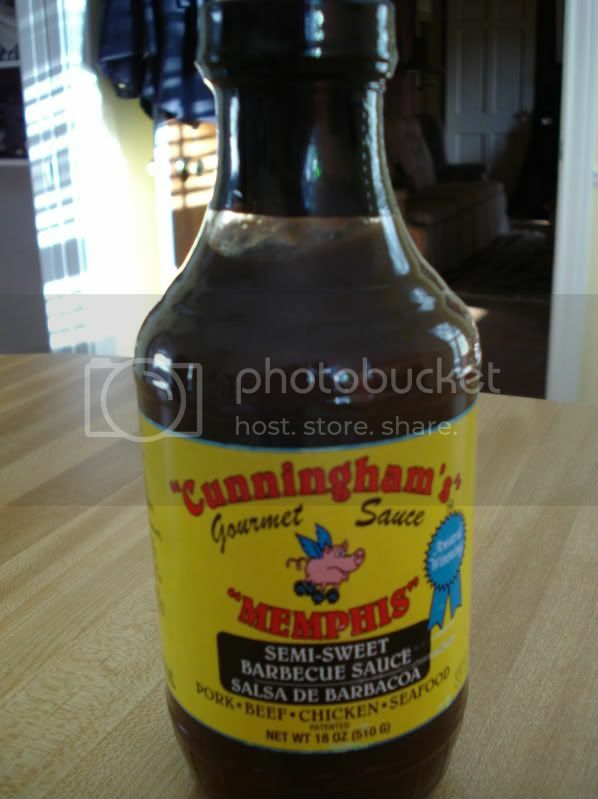 Though "Memphis" is on the label, Cunningham's is manufactured in North Florida. The sauce is dark in color and thick in consistency like a Kansas City style sauce. The texture is completely smooth and almost slick. The texture and extra thick consistency result in an almost gelatinous mouthfeel. The vinegary aroma is arresting, softened slightly by the dark essence of molasses. The label describes the sauce as "semi-sweet," and that is accurate. The sharp tanginess of vinegar is the first flavor, followed by a strangely artificial tasting sweetness and the savory taste of Worcestershire. There is a slight tingle of heat as the others flavors subside. Overall, this sauce falls short in both taste and texture. Look for me tonight on Diners, Drive-ins and Dives during the segment featuring Martin's BBQ. Most likely it will be a shot of me stuffing my face with a jumbo pork sandwich. Tonight's show is titled Porkapalooza and it airs on the Food Network @ 9pm cst. Watch out because next time you see me I might be famous. Eat Out for Nashville is a grass roots effort started by Doug Hogrefe of Amerigo and Chris Chamberlain of Bites to help raise money for the Community Foundation Metro Nashville Disaster Relief Fund. It all started with an email on May 5th simply asking the blogger community to help promote a fundraiser of sorts. The idea was to have participating restaurants offer up 50% of one nights proceeds to the flood relief fund. Twitter and Facebook accounts were setup and the momentum began to grow. In just a 12 day period EOfN has signed up 54 restaurants to participate. To see the list just head over to the Bites website and remember Tonight's The Night. So get out there and eat eat eat. I attended my first Southern Foodways Alliance event - Potlikker Film Festival at City House. See the Bites recap here. I attended the Pellet Envy competition bbq class in Lebanon. 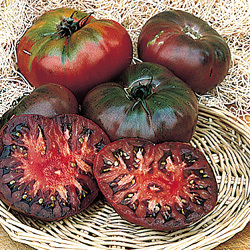 I started my CSA with Avalon Acres, and I planted 6 tomato plants. Let me just say right off the bat that I don't listen to "The Big Show". It's nothing personal, I'm just not into that sort of thing. So I honestly couldn't tell John Boy & Billy from Bob & Tom or Rick & Bubba. I pretty much stick to 650 WSM-AM (at home) and 560 WNSR-AM (in the car). Bottom line is I don't really have an opinion about the radio show; I'm just here for the sauce. 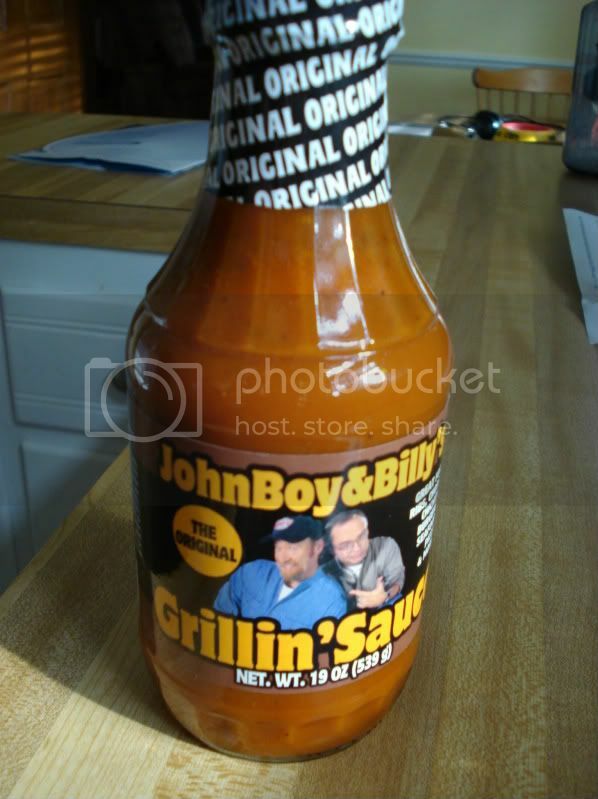 Big Show Foods, Inc., which was created to market John Boy & Billy's sauces, sells three versions of the Grillin' Sauce (Original, Sweet&Mild, and Hot&Spicy), an Eastern Carolina barbecue sauce, a steak marinade, and two kinds of hot sauce. The Original Grillin' Sauce, however, was what started it all when it was unveiled in 1997. This is a tomato-based sauce that is spicier and more complex than most. It's got a moderate amount of sweetness (not too much) that is complemented by tangy vinegar and mustard flavors. Savory and garlicky notes rise up and give way to a nice lingering spicy burn. 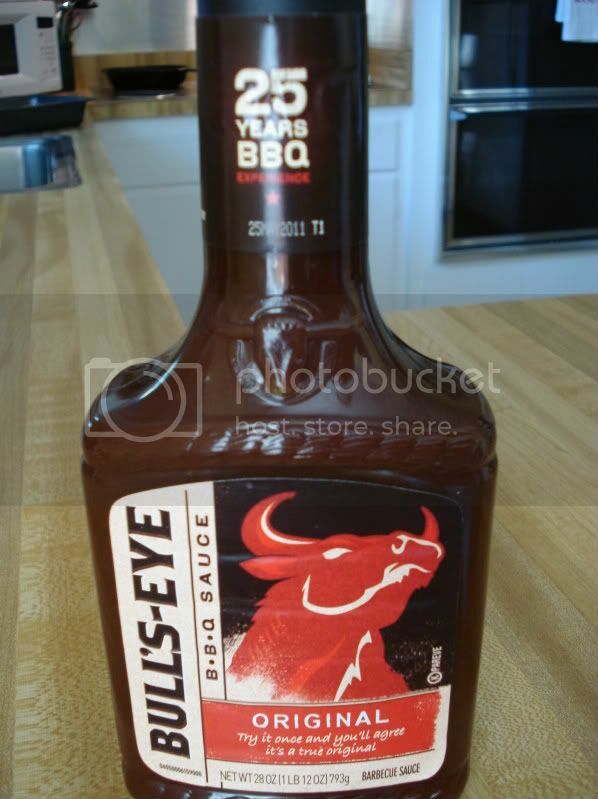 Bull's-Eye is another of those supermarket sauces that are so ubiquitous. Kraft introduced this sauce in 1985 as a smokier, zestier alternative to their already popular Kraft brand of barbecue sauce. It was an instant success and has remained so through the years. In 2008, Kraft removed the high fructose corn syrup from Bull's-Eye, along with many of its other brands. Along with the original, there are four other flavors of Bull's-Eye - Sweet & Tangy, Hickory Smoke, Brown Sugar & Hickory, and Guinness(!). The original version of the sauce is fairly typical of leading brand barbecue sauce - very sweet, moderately smokey, a little bit tangy, and a little bit spicy. It's not significantly different from KC Masterpiece or Sweet Baby Ray's, but it is definitely a step up from Kraft or Hunt's.